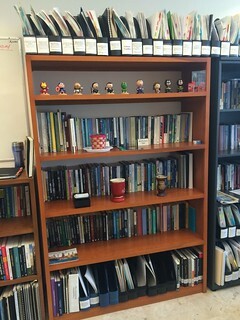 When people visit my campus office, they often admire the fact that I have a systematically organized library where my books and printed articles/book chapters/reports are all available (and ordered alphabetically, in the case of printouts, and by topic, in the case of books). For me, “processing” articles and books/book chapters is a systematic process that enables me to know where to find which piece of research. Thus “processing” entails finding the digital version, saving it, reading it, and then organizing it. I do this to avoid what Pat Thomson calls “PDF alibi”, that is, thinking that I have already processed an article or a book chapter when I simply downloaded it and stored it and I did not read it. Since I integrate reading with my academic writing, I am rarely victim of PDF alibi syndrome. But I have often said, I’m definitely not above doing long stretches of reading, particularly when I am preparing a literature review for a paper. For me, processing a paper (or a piece of work) entails the following stages: First, I give it a very quick read. Then, I decide if this piece requires deeper engagement with it, be it through highlighting and scribbling on the margins, be it by writing a rhetorical precis, or be it by preparing a detailed memorandum. Often times, the bunch of printed output that I need to process comes from a detailed citation tracing search. I am currently writing a literature review on the human right to water, so I had to catch up on everything that has been published since I last did one (e.g. in the last four months). The process is as I’ve shown above: I download the PDF using Last Name, Year and Title of the document. I organize each file in a folder (I do have a folder for PDFs “To Be Organized”). I also print it out and sort it as indicated above (and in this post). I also upload the PDF on to my Mendeley database and clean up the reference. When the paper is relevant but I don’t think I have the time to prepare a detailed memorandum, I simply write a rhetorical precis that I can then type and digitize and add into my Evernote library. This makes my database of rhetorical precis searchable and findable. I also save the file into my Dropbox in the folder for the paper I am currently writing. When I have a good number of articles that are worth memo-ing, I dump the memorandum (or at least, the most relevant quotations) into my Excel conceptual synthesis worksheet. Even if I only write a rhetorical precis, I always keep it also in the literature review Excel worksheet, so that I know which articles to refer back to. If the paper is worth writing a memo on, make sure it's effective https://t.co/hACSfydHPC if not worth memo, then rhetorical precis. Again, the point of this post is: NEVER FILE A PAPER UNTIL YOU’VE READ IT. 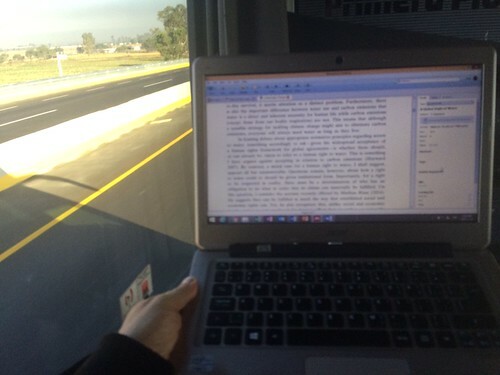 @LRussellWolpe @raulpacheco Yes, advice from one of my mentors was never file a paper until it is read! In my case, I never file something until I’ve processed it. Hopefully my method is useful to you!